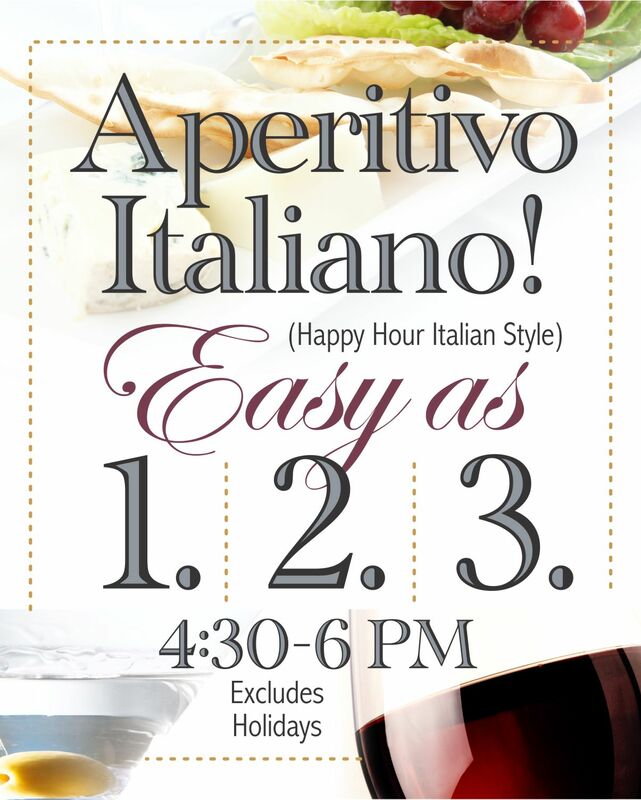 $1 Off All Beer & Liquor, $2 Off All Glasses of Wine, $3 Off All Appetizers. SUNDAY thru THURSDAY in the BAR ONLY. Excludes Holidays. 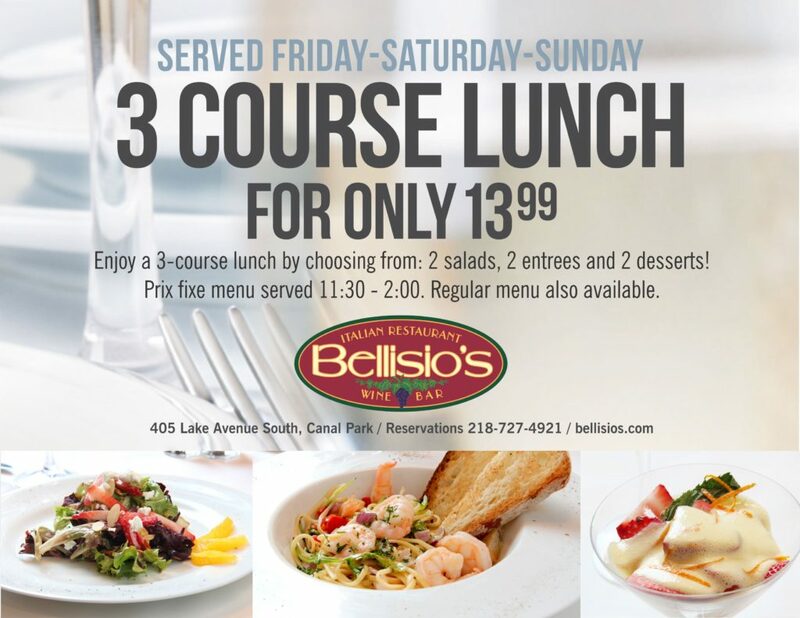 A perfect way to try and enjoy wines from Bellisio’s Italian Restaurant Wine Spectator awarded wine list. 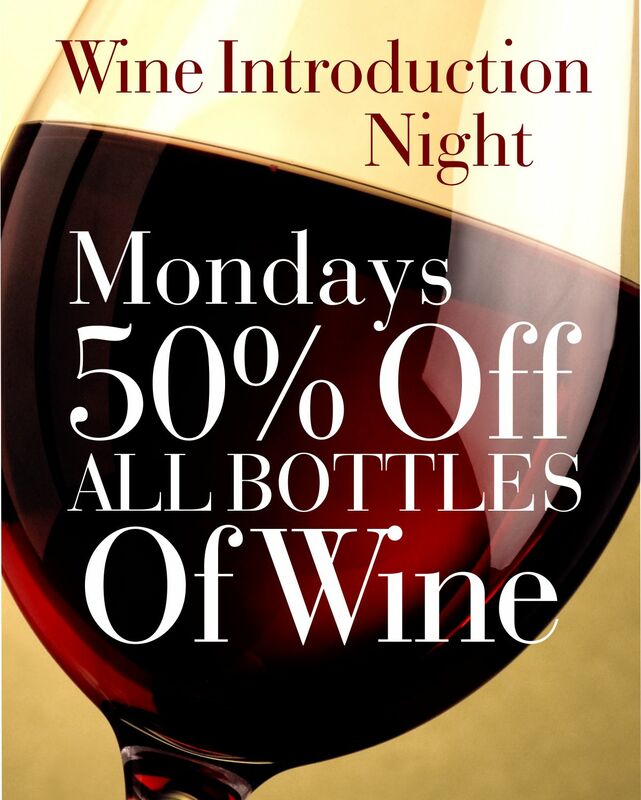 Monday nights ONLY, enjoy 50% off any BOTTLE offered in the bar and dining room.